On January 7 1995, Take A Bow slid to #21 on the UK Singles chart after reaching a peak of #16 on December 24th, 1994. 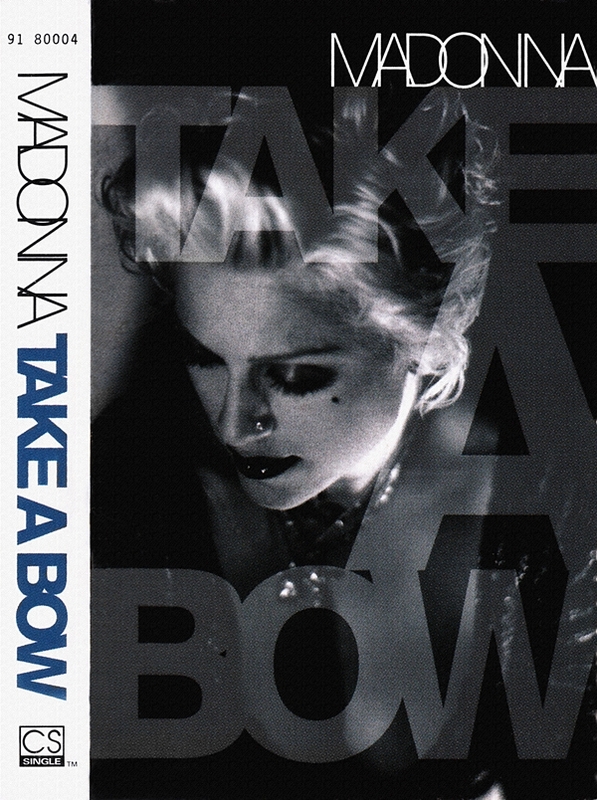 While Take A Bow remains her longest-running #1 hit in the US, its disappointing UK chart performance marked an end to Madonna’s spectacular run of 35 consecutive top-ten UK singles from 1984’s Like A Virgin to 1994’s Secret. Take a bow, indeed! Exhibit M-Saying Hello and Job Well Done-and Detroit Masterpiece-was more like it! For beautiful ballad Take a Bow represents the Second Act-and Phase in an American Life! Madonna sang and wrote Take a Bow to remind us that she is not going away or retiring anytime soon! If anything, the show is over for anyone who underestimates her overall resolve, talent and brilliance! Take a Bow in the end vindicated Madonna because it’s one of her very best records, songs and performances! I am mighty proud of her! A brilliant ballad! Take that bow, Madonna!